Need Essential Oils Wholesale? Look No Further! 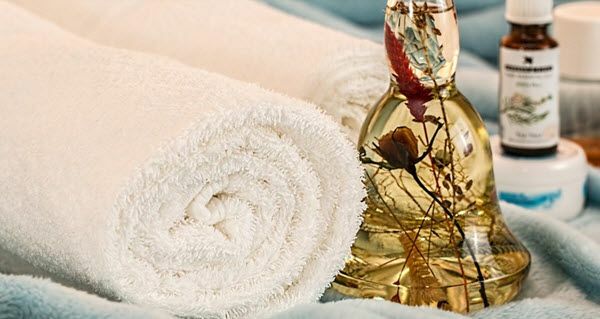 The consumer preference shift from synthetic to natural products has led to the increase in sales of various natural products including essential oils. The demand for essential oils has been steadily increasing, and in fact, a recent marketing forecast by Grand View Research, Inc. predicts that the essential oil market will reach a whopping 13.94 billion by the year 2024. The exciting part for us consumers is that with this demand comes wholesale supplies! Purchasing bulk aromatherapy supplies definitely has its perks. Some buyers take a step back when hearing the word “wholesale” as hundreds of products come to mind. Yet, some distributors classify 20 bottles of essential oils as wholesale, so there are plenty of options for smaller or larger purchases. Buying anything in wholesale opens the doors to a vast assortment of discounts. Buying bulk aromatherapy supplies can cost you around twenty percent less than if you were to buy retail. For example, if a five-milliliter vial of lavender oil costs $30 retail, you can get it for around $22 or less by purchasing wholesale. Some wholesale organic essential oils suppliers offer higher discount rates. Doesn’t that sound reasonable? So in this example, if you were to buy ten vials of lavender oil at one time instead of buying them individually, you can potentially save around $80 or 30-40 percent! The more you buy, the more you can save. If the discounts aren’t enough, some wholesale organic essential oils suppliers deliver the supplies right at your doorstep with little to no shipping fee. This saves you the trouble of picking up the supplies or going to the store if you were to buy retail. Imagine how much time and money you will save with this helpful perk. Some even provide the option of decorative gift wrapping! Tip: You also have the right to inspect the items before accepting them. Count the bottles to make sure they are complete, check if they are the right size of what you ordered, and inspect the product for damage. If there are damages, you can send the essential oils wholesale supplies back to the supplier for replacement. We're not done explaining the perks yet! Some suppliers will even offer cool freebies for first-time buyers of bulk aromatherapy supplies. Some offer free all natural body wash products or extra bottles of essential oils that you can mix with the ones you bought. This is especially attractive to aromatherapy fanatics who are seeking to try new things. Buying wholesale can sound like a huge investment, but if you’re going to buy from the right essential oils wholesale supplier, you’re going to reap the top three benefits of buying bulk aromatherapy supplies and more. Wholesale organic essential oils suppliers tend to love and treat their customers like VIP's, so you can surely take advantage of more freebies and promos in the future. Just be sure to find the right suppliers for you, arrange the purchase conditions smoothly, and inspect the items before buying, and you’ll be good to go.